Fluoride free water has become a popular topic in recent years. As people are becoming aware of the government’s participation in our public water supply, many want to know more about its impact on our health. Some people praise fluoride for its ability to protect our teeth from decay. However, others point out that too much could damage our teeth and adversely affect our nervous system. Regardless of your opinion about fluoride, sometimes it seems almost impossible to do something as simple as drink a sip of water without being exposed to it. So this article will show you a list of all brands of mineral water that do not contain trace amounts of fluoride. However, I will start by offering you a list of some health risks associated with fluoride exposure. 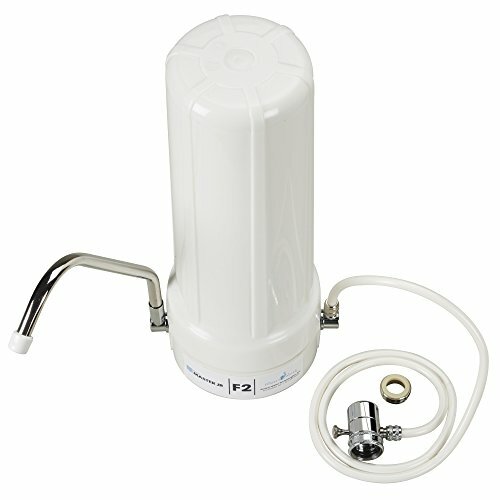 I will also show you water filters that remove fluoride. 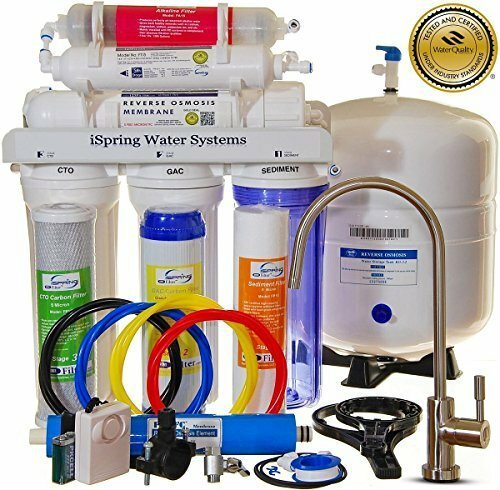 6-stage iSpring Reverse Osmosis Water Filter. 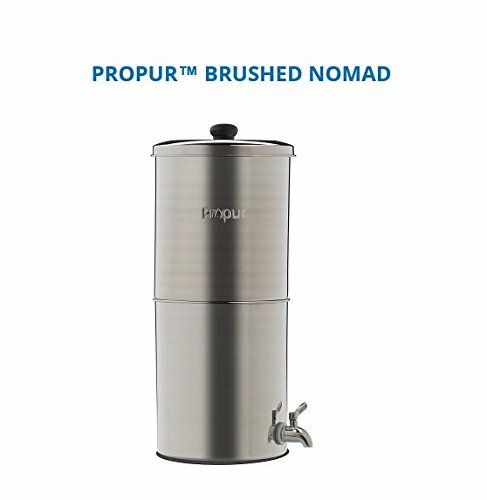 ProPur Big Steel Water Treatment System. 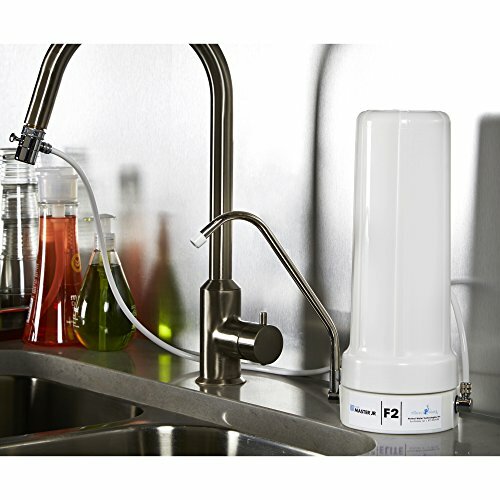 Home Master TMJRF2 Countertop Water Filter System. 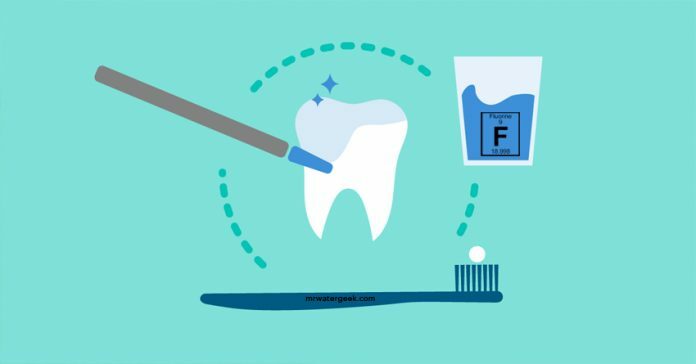 One of the most common (and somewhat ironic) side effects of fluoride exposure is fluorosis, which is the permanent deformation of the teeth. It usually occurs in children during the first eight years of their life when their permanent teeth begin to form. For physical deformities caused by fluorosis, include discoloration, ranging from yellow to dark brown, irregularities on the surface of the teeth, and large gaping holes can form holes in the teeth. Another side effect of fluoride exposure is the negative impact on cognitive development in children. A study conducted in China, shows that children raised in areas with high concentrations of fluoride in drinking water, typically have an average in IQ. Especially when compared to children from areas with lower fluoride content. According to the study leader, Philippe Grandjean, this is due to the toxic effect that fluoride has on the developing brain. It has been said that the amount of fluoride that would be required to cause extreme signs of fluoride toxicity is 2 grams in adults, but only 16 milligrams in children. Here are some bottled water brands that contain little-to-no fluoride. Only use and drink distilled water. Water filters are available in all shapes and sizes! You can find jugs that filter water, machines that are installed under your sink or even small tablets that clean drinking water. All these filters are designed to remove contaminants, but NOT all are effective in removing fluoride. Reverse osmosis filtration system can remove up to 95% of the fluoride in your drinking water. 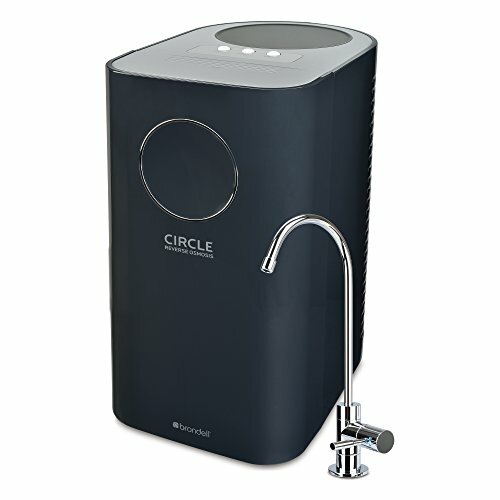 RO (Reverse osmosis) systems push water through semi-permeable membranes in a filter and effectively remove impurities. However, these systems are usually very expensive (up to $2,000 for a one-touch system). Between 2 and 4 gallons of normal water is needed to produce 1 gallon of filtered water. The more impurities and fluoride the water contains, the less water is produced. Another advantage is that reverse osmosis adds healthy minerals back to your water. Thereby increasing the health benefits of the drinking water. The activated alumina method is highly effective in eliminating not only fluoride, but also heavy metals and toxins. 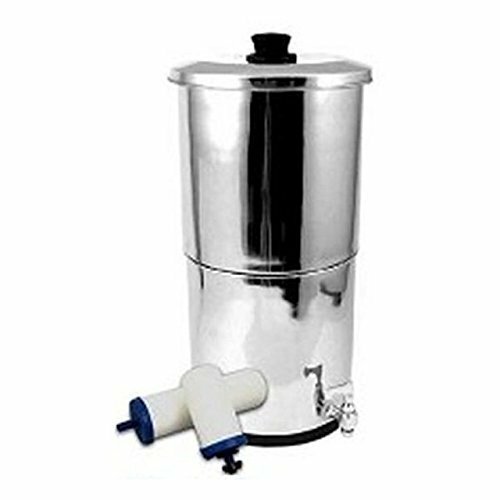 This type of filtration system is commonly used for highly fluorinated water supplies. Filtering out fluoride with activated alumina is easy to obtain, another method of water purification that removes fluoride. With activated alumina, the water passes through a bed of aluminum granules. The granules absorb impurities and leave the water clean. 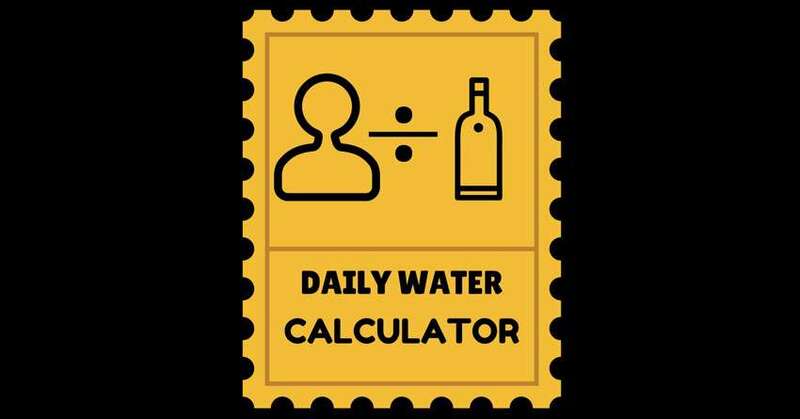 On the other hand, your water must have a very specific pH (less than 8.5) for the activated alumina systems to work. The flow of water is also very slow, which means that it takes longer to filter 1 gallon of clean water than other systems. Filtration cartridges should be replaced regularly to keep systems running. Deionization is a process similar to distillation. Essentially, all the ionic particles are removed in the water. This removes many contaminants and toxins, including fluoride. Deionization treats ionic particles in water but the added benefit is that it also helps to balance the pH level of your water. Most tap water is acidic in nature but a good deionizer water machine will produce water that is alkaline. 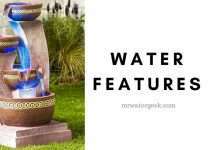 This reverse osmosis filtration system is designed for use in all homes. It produces 75 gallons per day, which is enough for the average household. It will also produce enough drinking water for you and for your family. 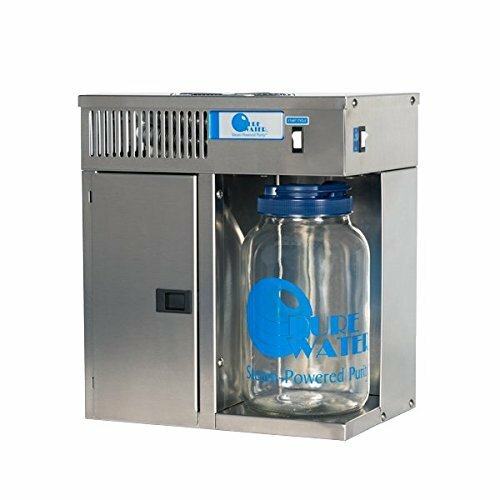 In terms of fluoride free water, this machine eliminates up to 99% of fluoride, as well as impurities, heavy metals, pesticides and toxins. The product is manufactured in the USA and it only uses FDA approved food grade materials. It is easy to install under the sink, and is a great option for those who just want clean water. This is a dripping water filter, which means that much more time is needed to purify small amounts of water. It can contain up to 2¼ gallons of water at a time but it filters up to 3.5 gallons per hour. 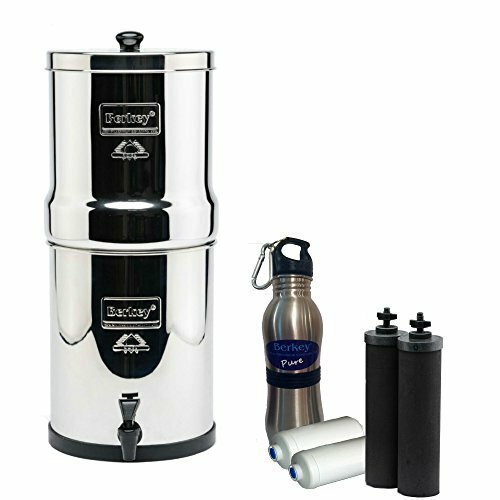 It is a good solution for those who want to remove most of the particles, impurities and fluoride from their drinking water. 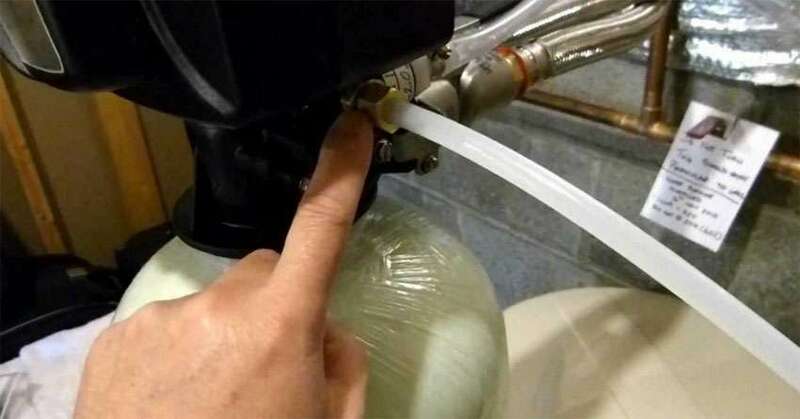 Another dripping water filter capable of holding a little more water at a time – 2 ¾ gallons. It is designed for a 2-4 person home and is made of solid stainless steel. With the new ProOne G 2.0.7″ filters you can remove more fluoride and impurities than ever before. 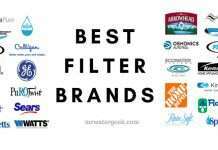 The best filters last longer and only need to be changed once every 12 months. 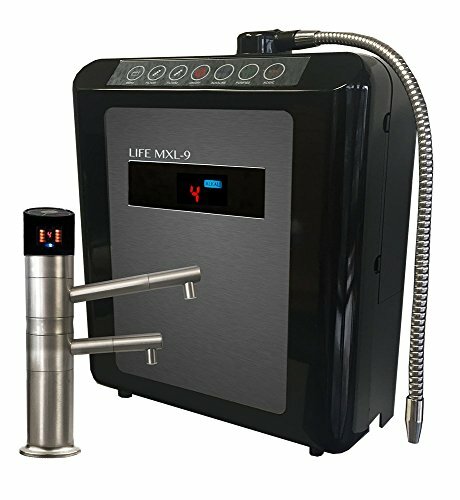 A compact and efficient water filtration system designed to fit in your sink / countertop and filter the water when necessary. According to the specifications of the product, it is able to eliminate up to 93% of fluoride and other impurities. It is a very easy-to-use device that you can install and set up in minutes. The best part is that it is easy to transport. You can move to the sink without calling a plumber. It is also the cheapest water filtration system on this list. Allukian M Jr, Wong C. Fluoridation update 2014. J Mass Dent Soc. 2014;63:24-30. Broadbent JM, Thomson WM, Ramrakha S, et al. Community water fluoridation and intelligence: pro- spective study in New Zealand. Am J Public Health. Grandjean P. Only One Chance. How Environmental Pollution Impairs Brain Development—and How to Protect the Brains of the Next Generation. New York, NY: Oxford University Press; 2013. Choi AL, Zhang Y, Sun G et al. Association of lifetime exposure to fluoride and cognitive functions in Chinese children: a pilot study. Neurotoxicol Teratol. 2015;47C:96–101. Choi AL, Sun G, Zhang Y, Grandjean P. Develop- mental fluoride neurotoxicity: a systematic review and meta-analysis. Environ Health Perspect. 2012;120:1362- 1368. 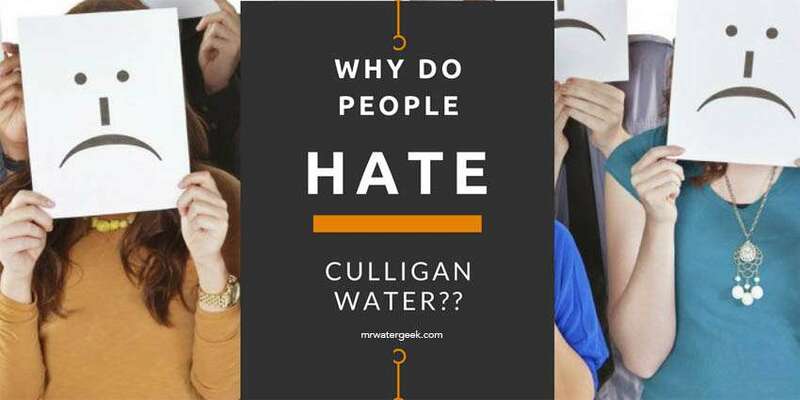 Previous articleWater For Health: Is This Water Type The MOST Healthy? 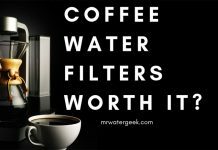 Are Coffee Machine Water Filters WORTH IT? Is Getting A Low Pressure Shower Head A SCAM? Novo Water Softener Review: Is it Really WORTH It? 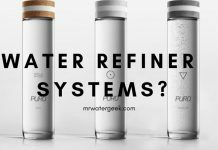 Best Water Filter System: Which Should You Choose? Aquasana Whole House Water Filter Models Compared. Must READ! Fleck Water Softener Reviews: Which One Is WRONG For You? Duplex Water Softener: Is It WORTH The Cost? Are Water Filters Overrated? Is The Whole Industry A Scam? 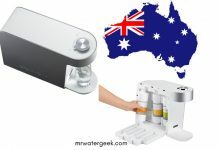 WaterGroup Water Softener Review: Is It WORTH The Cost?